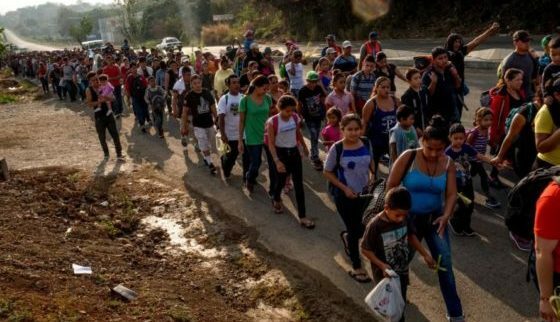 According to The Daily Wire, when the caravan crossed the Mexican-Guatemalan border, the group’s leaders praised Mexican officials for stepping aside and allowing them entry. “Refugee Caravan knocking down borders yesterday in Huehuetan! Immigration agents abandoned the post when they knew we were coming. The people celebrated this first little victory!” they said on Facebook. This article was posted in apprehend, caravan, caravan of people, cash cow, deport 400 illegal, Enrique Peña Nieto, Headline News, honduras, Immigrants, Mexico, NAFTA, Unites States. Bookmark the permalink. Follow comments with the RSS feed for this post.Comments are closed, but you can leave a trackback: Trackback URL.